I'm an outdoor and adventure travel writer, as well as a health and fitness expert. My writing has appeared in national publications such as National Geographic Traveler, Men's Journal, Shape, Travel + Leisure, Afar, Esquire and more. I am currently based in Brooklyn, New York. My health and fitness writing spans focusing on developing and strengthing key muscle groups; staying healthy by smart food and nutrition choices; as well as interviews with celebrities, athletes, and scientists for expert advice . When it comes to running shoes, the options can be seemingly endless and overwhelming. How do you choose the best running shoe for your foot type? Instead of sticking with the same shoes you've been wearing for years, consider what type of shoe fits the terrain you're running and any foot or gait issues you might have. For example, some people run with their weight on the outside of the foot (supination), others have flat feet and still others have high arches. Personal preferences come into play, too, with wide toe boxes, shoes that offer extra cushion and ones that won't break the bank. It's important to choose running shoes for specific terrain as well. A trail running shoe is made with more rugged features compared to a racing shoe that's engineered to be lightweight and breathable on the track. Before heading to your local running shop and randomly choosing a shoe based on color or design (don't worry, we've all done it), use this guide to help you know what to look for in each type of running shoe. "Extra cushioning in your running shoe definitely isn't for everyone, it ultimately depends on your running style, individual stride and your body type," says Caleb Backe, personal trainer and health & wellness expert for Maple Holistics, a natural hair and skin care company. "Choose a cushioned running shoe that's designed to improve your natural foot positioning for increased comfort," he says. Salomon's Sonic RA 2 is designed to hug your foot in a comfortable, custom fit without aggravating pressure points. Plantar fasciitis is an inflammation of a thick band of tissue that connects the heel bone to the toes and is a common cause of heel pain. There are two types of pain associated with plantar fasciitis — pain with push off and pain with landing, says David Reavy, Chicago-based physical therapist and owner of BeReact.com. If you have pain with push off, a shoe that helps you push off with your entire foot is key, he says. (Try Asics GEL Kayano 25, which resists compression and reinforces a natural line of movement.) Or if you have pain with landing, a shoe with more cushion is likely what you need. Despite what many people think, most runners don't need a lot of cushion or motion control devices in their running shoes, says Mark Cucuzzella, M.D., and owner of a the running website DrMarksDesk.com. What they need is a light, flexible, neutral and not-too-soft shoe. 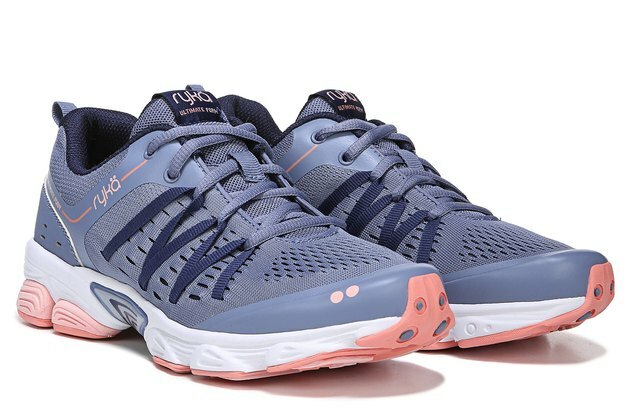 "A neutral running shoe empowers your body to move in a more natural way, and a wide toe box allows the toes to spread and splay in order to distribute impact forces and encourage proper toe off through the gait cycle," he says. Topo Athletic's Magnifly 2 has zero drop with 25 millimeters of cushion, giving your foot the freedom to move as if you were barefoot. The first thing to consider when purchasing running shoes for flat feet is to make sure the shoe has no heel elevation and little to no toe spring, says Backe. "You're also going to want to ensure that the toe box isn't tapered. You should be able to recognize a shoe that's fit for flat feet by the wide, chunky heel, as well as the stiffer sole. Look for running shoes that control motion." The Asics GT-2000 7 offers a wide and high toe box, allowing the foot to spread naturally at push off, while still offering plenty of stability. Even when you're looking for waterproof running shoes, you don't want to compromise your foot's function in the rain, says Jessica Marie Rose Leggio, running specialist at RunPainFreeNow.com. "You don't want to get hurt on wet surfaces, so you need your full foot control." Be sure you can wiggle your toes (these shoes tend to be more laterally restrictive due to the material), so that even when your feet get wet, you can still move them to keep blood flowing, she says. Try VIVOBAREFOOT's Swimrun, a line of waterproof running shoes that come in low-ankle and high-ankle styles. "For trail shoes, you want a shoe that will help support the additional lateral movement required when running trails," says Dr. Cucuzzella. "The stack height [distance between your foot and the ground] should not be too high, and you should not have an elevated heel, as these two features will contribute to a higher likelihood of ankle sprain." "People have different preferences for cushion and tread, so I encourage them to find their own sweet spot," he says. And if you live where it's wet and rainy, look for a waterproof upper side. The Brooks Cascadia 13 protects from rocks and roots under foot and from trail debris on the sides and top of feet. Read more: Which Is Better: Running Outdoors or on a Treadmill? Overpronation occurs when a runner's foot rolls inward too much. If you have flat feet, you most likely overpronate, and overpronation is one of the leading causes of knee pain, says Backe. "Extra support will help you achieve a more natural foot strike and therefore will decrease knee pain." 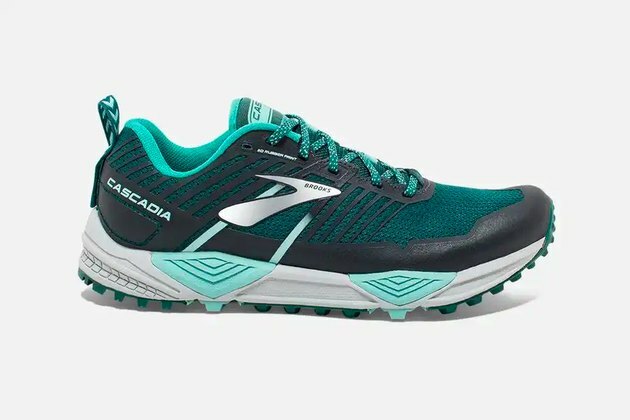 The Brooks Adrenaline GTS 19 has "GuideRails," a support system similar to bumpers in bowling alley (imagine your foot as the bowling ball). They kick in when you need them and stay out of the way when you don't. For the general public (i.e. non-professional runners), your racing shoes shouldn't be too different than what you train in, says Dr. Cucuzzella. 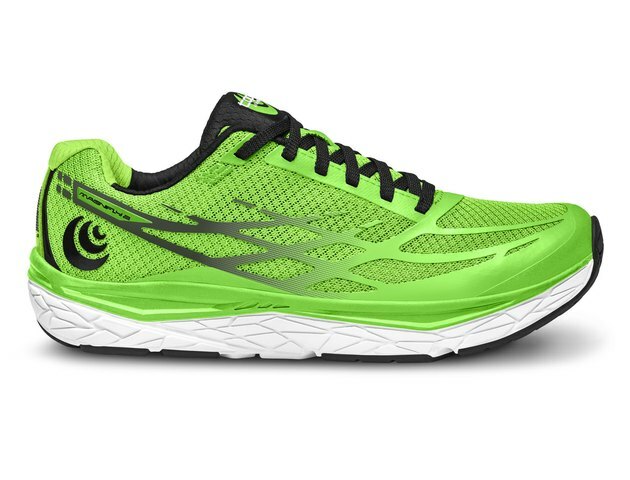 If you plan on doing a lot of racing, though, the one thing you might look for is a shoe where the upper and outsole are stripped down a bit for weight. "But as far as the other features — flexibility, midsole density, stack height and toe box — they should mirror what you're used to," he says. Salomon's Ultra Pro provides long-distance comfort with extra support and cushion in the midsole. "A small percentage of runners might benefit from what is called a 'stability shoe' — firmer density and less flexibility through the midsole," says Dr. Cucuzzella. "Look for shoes that have low heel-to-toe drop, a wide toe box to allow for natural foot function and light weight to better accommodate the runner's needs," he says. The Altra Provision shoes have grid-like grooves in the midsole, allowing the foot to flex, while still being lighter for more speed and better performance. Your running shoes should be an extension of you, says Leggio. She says you'll want to hear the sound of your shoe pushing off the ground behind you. And only a flexible shoe allows for that. "Also, a flexible shoe doesn't hide issues, it exposes them, and you want to know what is going on at the start of it, not when you are already injured. 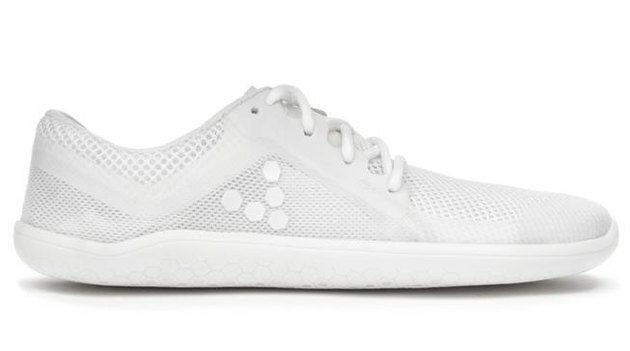 You want the run to be dictated by you, not a sneaker dictating your biomechanics," she says The VIVOBAREFOOT Primus Lite has a vegan upper made from PET recycled plastic and a thin sole that lets you train hard while developing skillful movement. For those that tend to supinate when they run (rolling onto the outer edge of the foot), it's important to find a neutral shoe that won't interfere with your stride and push your foot out even further, says Claire Wood, New Balance's head of performance footwear. If that sounds like you, check out the New Balance 1080V9 with neutral cushioning. "If you have a high arch in your feet, then you'll need some extra cushioning to give your arch the proper support," says Backe. A cushioned shoe enhances shock distribution in the midsole to support your arch and prevents your feet from rolling outward while you're running, he says. Try Salomon's Sense Ride 2, which has an 8 millimeter drop, plenty of cushion and a generous toe box that works for high arches. "When you go on winter runs, ice is going to be your worst enemy," says Paul Ronto, director of digital content and research for RunRepeat.com, an athletic shoe review site. "You have to be cautious of street lines and crosswalks, as painted lines tend to be extra slick compared to their concrete or asphalt counterparts." The New Balance880v8 GTX has a good grip on the bottom, as well as waterproof Gore-Tex membrane, which help keep your feet dry. "For serious knee pain, you should first defer to a professional opinion from a doctor," says Braden Moorhead, senior buyer at Zappos.com. "For runners with knee pain, it is important to look for brands that offer shoes with a higher stack height and lots of cushioning, which will offer a softer ride and may alleviate knee pain," he says. Some research has also suggested that shoes with a lower heel-to-toe drop (0 to 8 millimeters) encourage a natural running gate cycle, which allows your quads and glutes to help absorb the shock of landing. Salomon's Predict RA has grooves on the tread inspired by the major joints in the foot. These grooves are placed on the top and bottom of the midsole to double flexibility and enhance the foot and shoe interface. "For a distance shoe, you are really searching for comfort, cushioning and durability," says Moorhead. So don't be afraid to test out a bunch until find one that can keep up with you. "If your shoes feel a little snug or 'off' around mile three, chances are the farther you run, the more the problem will be exacerbated," he says. Test all of your gear — especially shoes — during your training so there are no surprises on race day. "Even if you've run in the same model shoe before a race, you never want to show up to race day with a brand new pair of shoes. There shouldn't be a ton of break-in time for running shoes, it's more to test that they feel good through the entirety of the run." Asic's GEL-NIMBUS 21 has added mesh for more breathability and support, but also has a spacious toe box and gel technology in the forefoot to give your feet more space to move. "'Wide toe box' isn't a standardized term like a shoe's width is," says Moorhead. "A wide toe box for one brand could feel narrow and tight for some runners and could be bulbous and boxy in other brands," he says. So it's important to try on a variety of shoes before one that feels the most comfortable for you. "Whatever fit you're going for, you never want pressure in the toe box, nor do you want so much room that there is an insecure fit," Moorhead says. The Altra Lone Peak 4.0 RSM has a "footshape" wide toe box that allows your toes to relax and spread out naturally for more comfort and stability both uphill and downhill. "If you're a runner on a budget, it's important to remember that price doesn't dictate quality on either end of the spectrum," says Moorhead. In other words, inexpensive doesn't always mean cheap in quality, and expensive doesn't necessarily mean it's the best. Instead, look for what type of cushioning you prefer — firm or plush — and if the materials feel good, he says. Ask yourself, is it comfortable? For under $70, New Balance Fresh Foam Arishi v2 offers a breathable mesh for light-weight support so you don't feel weighed down while running. "But no matter the price, most midsoles (the cushion-y part of the shoe) are made of EVA [etheylne vinyl acetate], and unfortunately, EVA degrades between 300 and 500 miles," he says. "Sometimes when you start to feel new creeks and cracks during or after running, it might be a sign that it's time for a new pair of kicks." 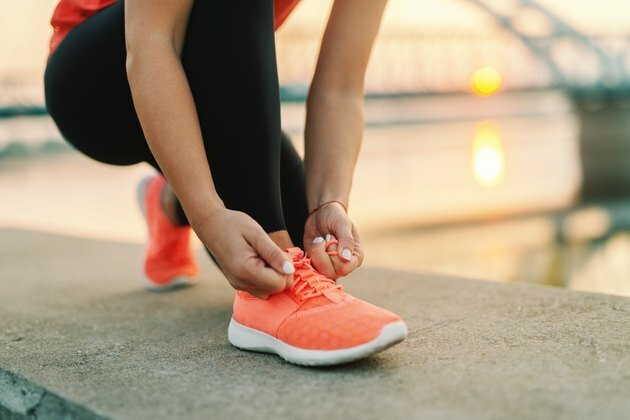 "The top things to look for top running shoes for women are flexibility and full-foot function — can you bend the shoe toe to heel?" says Leggio. That's important because your foot is like a gear shift, she says, since it drives your run, setting up a domino effect that triggers each subsequent movement as you run. "The best running shoes would be light-weight, speed-focused trainers." 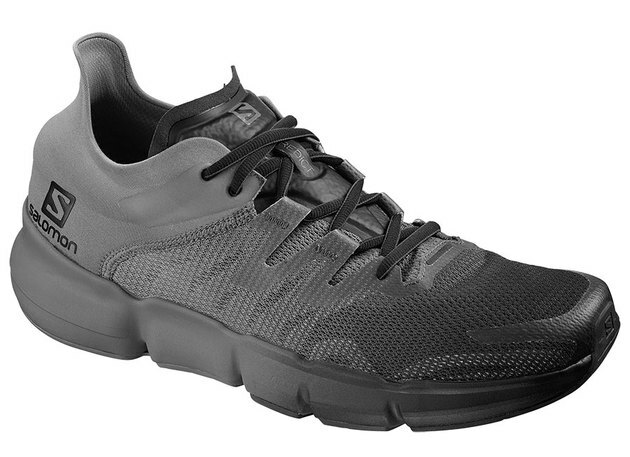 The LIVESTRONG staff pick for this category is Ryka's Ultimate Form shoe. It's light enough to help you fly through your runs, while still offering plenty of midsole support and cushioning in the heel for comfort. Plus, with the memory foam insole, you may never want to take them off! "For the best running shoes for men, look for stability, which provides better support and control of the foot throughout the entire running motion," says Maurice Oliver, footwear specialist at the REI co-op store in New York City. Also look for shoe cushioning in the heel and forefoot that aids in shock absorption, he says. Durability is also important to the lifespan of the shoe and the runner's body. Asics' GEL-CUMULUS 20 features technology for optimal bounce back and a full-ground contact outsole for smoother heel-to-toe movement. What are the Best Shoes for Running on a Treadmill?